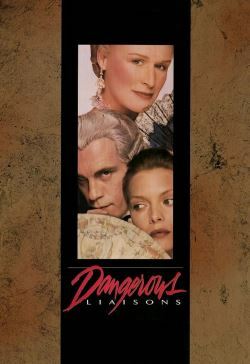 In 18th century France, the Marquise de Merteuil and the Vicomte de Valmont play a dangerous game of seduction. Valmont is someone who measures success by the number of his conquests and Merteuil challenges him to seduce the soon to be married Cecile de Volanges and provide proof in writing of his success. His reward for doing so will be to spend the night with Merteuil. He has little difficulty seducing Cecile but what he really wants is to seduce Madame de Tourvel. When Merteuil learns that he has actually fallen in love with her, she refuses to let him claim his reward for seducing Cecile. Death soon follows.